Well, after months of speculation, mama was right and EMC finally found a home in one of the largest technology deals ever, a $US67 billion merger with Dell. With the dust now settled, many industry figures believe the deal will create a much larger channel presence for the combined company which, over the last 12 months, sold more than $US3 billion. “Although there will be some product overlaps coupled with questions on channel strategy, overall, the deal looks pretty solid for the indirect channel,” says Michael Diamond, Director of Industry Analysis, NPD Group. According to Diamond, this will be for three main reasons. “First and foremost, EMC is a very channel-friendly company and has a tremendous partner ecosystem on the hardware and software sides that are exceptionally loyal to the brand,” he explains. In addition, Diamond says as Dell has embraced the channel over the years, dedicated Dell units have also sprouted up at partners since their end-users have demanded Dell’s products. “Now that Dell’s server business will move to EMC’s Massachusetts campus in Hopkinton, it makes sense that EMC’s tremendous tribal knowledge of selling through the channel will be highly leveraged to reach partners that previously only sold EMC products,” he adds. For Diamond, a second reason is that many small to mid-size resellers are creating information management practices geared toward helping organisations manage and protect information in vertical markets. “These are often key industries that have government mandates to store and protect consumer and highly sensitive data,” he adds. In essence, as cybersecurity continues to bubble up as a primary issue affecting organisations, Diamond believes a combined EMC and Dell will have the ability to leverage pre-existing client relationships with resellers focused on key these verticals. Third, although product overlaps exist in areas such as mid-range storage (e.g., EMC VNX, Dell EqualLogic, and Compellent Storage), Diamond believes both firms are savvy at rationalising product lines in addition to finding partners that have prowess with specific applications or workload needs. 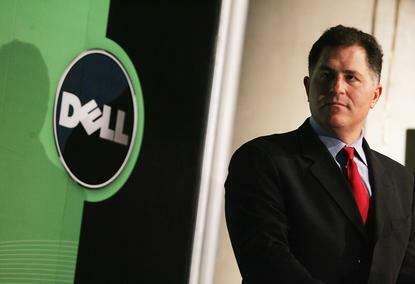 “As more firms leverage converged and hyper-converged infrastructure, Dell’s position as one of the key players in designing reference architecture (e.g., VSPEX, EVO:RAIL) will be key as more firms embrace,” he adds. In summary, Diamond believes this deal will benefit indirect channels as Dell uses EMC’s strong partner ecosystem to strengthen its presence in the highly fragmented indirect channel. “The combination of EMC and Dell makes them a contender against the likes of IBM and other security practices as they leverage their top position in the server and storage markets,” he adds.